Ottawa's downtown is transforming from big town to small city. 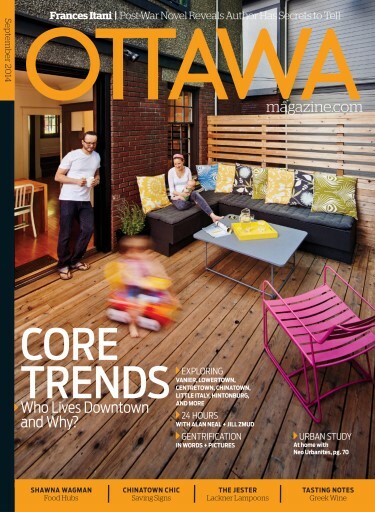 In this issue Ottawa Magazine introduces you to the people at the centre of this changing landscape. 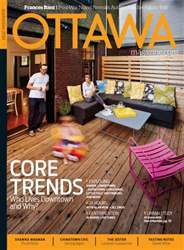 While also opening our eyes to the corner stores, green spaces, and other hidden gems that give downtown Ottawa character. Plus, "Changes is Good?" by Mark Bourrie, a look at the positives - and the pitfalls - of gentrification. Author Frances Itani talks of mining family history in her new novel "Tell". And "A Day In the Life", a photo essay on four Ottawa urbanites at work and at play.